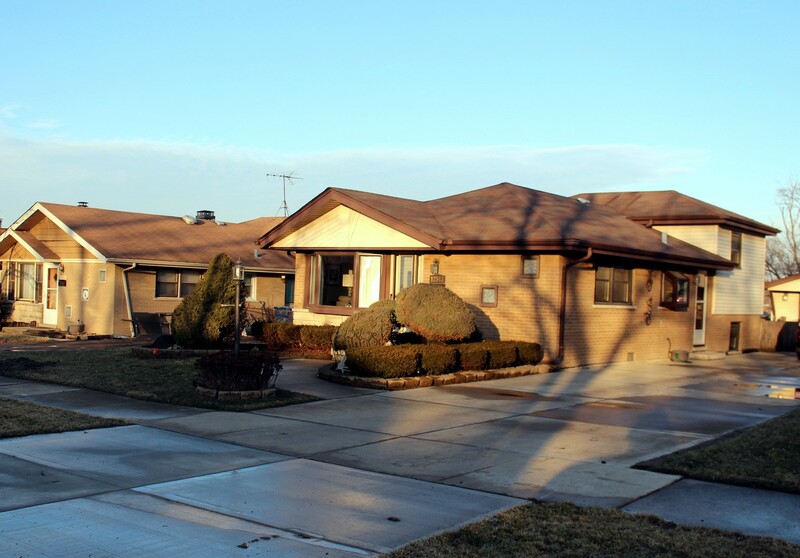 ~THIS PRISTINE 3 BEDROOM BRICK TRI-LEVEL IS SITUATED ON ONE OF ALSIP'S QUIET STREET STEPS AWAY FROM APOLLO PARK. IT IS PROFESSIONALY LANDSCAPED. WAIT UNTIL YOU SEE THE NEWER CALIFORNIA BRUSHED SIDE DRIVEWAY AND TIERED DECK! SOME ATTRIBUTES INCLUDE LIVING ROOM WITH 2 CUSTOM ARCHED BUILT INS, UPDATED WHIMISCAL KITCHEN WITH TERRARIUM WINDOW, EAT-IN AREA AND VENETIAN PLASTER WALLS ALONG WITH BOTH BATHS REMODELED ONE WITH A WHIRLPOOL TUB. CHECK OUT THE CUSTOM PLASTER CEILINGS...FROM RECESSED, TIERED, DOMED AND EVEN AN OVAL. EACH BEDROOM IS UNIQUE. A FEW STEPS DOWN IS THE BONUS FINISHED FAMILY ROOM THAT LEADS TO A CHEERFUL LAUNDRY ROOM WITH AN ABUNDANCE OF STORAGE OPTIONS. NOT TO BE OUTDONE BY THE GARAGE...AKA THE MAN CAVE! THIS IS A MUST SEE AT A GREAT PRICE. WON'T LAST.